Well, what a nine hours it has been. Frankly we could have signed off with any of the hundreds of superb images which captures the thrill, relief and excitement of Tiger Woods' extraordinary FIFTH Masters win. This one certainly does the trick. Thanks for all your company over the past four days - hope you've enjoyed it as much as we have. If you want to relive it all again (and why wouldn't you) then you can... Head here to read our report from Augusta and watch videos of all the best bits. Playing partner Tony Finau was the first to congratulate Woods on the 18th green. Today is all about one man. And a measure of Tiger Woods has been how many of his peers have logged into their social media accounts to hail his achievement. Northern Ireland's Rory McIlroy was chasing the career Grand Slam - which only Woods, Jack Nicklaus, Gene Sarazen, Gary Player and Ben Hogan have previously achieved - at Augusta for the fifth successive year. McIlroy shot a final round 68 to finish tied 21st with a total of five under. "I didn’t play dissimilar to the other days I just kept the mistakes off my scorecard. I played the par fives well and I did all weekend. The score is a bit better because I didn't make the mistakes. "My game is in a good place. I didn’t quite have it this week but it's a long season and there are three more majors to play so I'm happy with everything. It wasn’t my week but there are plenty more weeks ahead where it might be." Could be some sore necks and tight calves in the morning as the patrons tried to claim the best view of Woods' victory. The new fans that came into the game - when you played with Tiger Woods, the fans really wanted him to win and you to lose and you could feel that. And when he tried to turn it on it was too late. But I still know my hierarchy on the totem pole. I'm just appreciative of being able to see a player of his greatness. It's incredible what he has accomplished. Nobody can touch him. 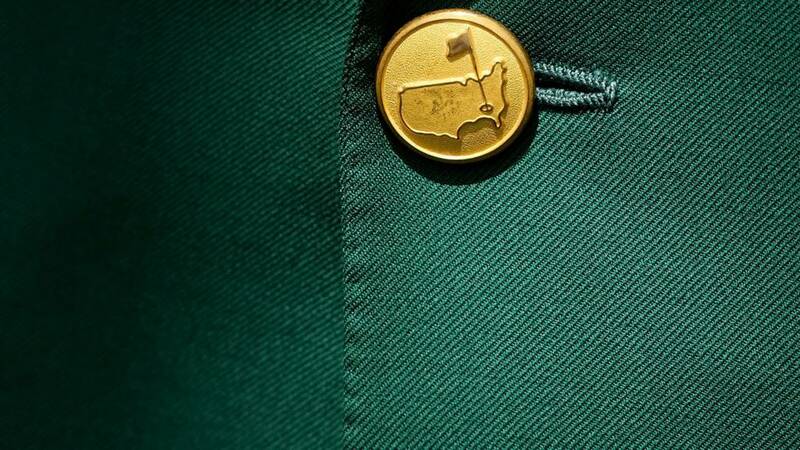 Aside from lifting a rather lovely Masters Trophy- made of more than 900 separate pieces of silver - depicting the Augusta National clubhouse, and of course collecting an iconic Green Jacket, Woods will also pick up a hefty cheque of more than $2m. The Golden Bear's six green jackets (spanning 23 years between 1963 - 1986) puts him two ahead of Arnold Palmer and, now, one of Tiger Woods. Máirtin Flannery: 11 years since his last major 14 years since his last masters Never come from behind to win a major A winless streak of 107 weeks Once 1,199th in the world Four back surgeries Didn't know if he'd play again The greatest comeback in sport! PSP: You just can't beat a man who never gives up. Tiger Woods - 2005 v 2019. What's changed between his fourth and fifth wins at Augusta? If Serena is inspired then the rest of the women's tennis world had better watch out. Serena winning another major after almost dying giving birth in 2017 - and tying Australian's Margaret Court's record of 24 Grand Slam singles titles - would be certainly celebrated in a similar manner.